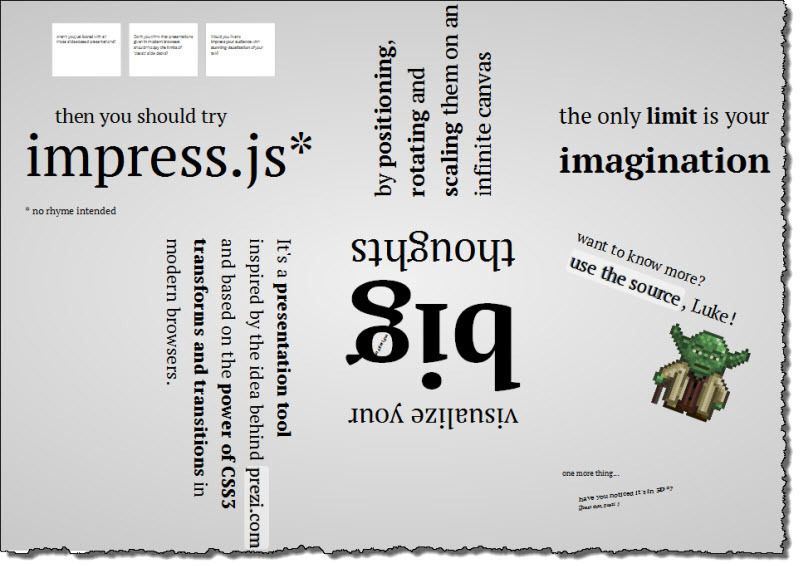 This is just an amazing demonstration of CSS3 transitions – This would be my preferred presentation library because I was SO impressed (pun intended) with the demonstration and the flexibility of the usage. I started to pan out my slides using this capability (mimicking the example slide types) and I was really enjoying it. The problem I ran into was that it did not play well with the demonstrations I wanted to do. I want to include XPage code and the dojo CSS created by the XPage really screwed up the presentation CSS 😦 It was also really time consuming to manage the canvas and where all the slides were going to go – kinda disappointed this didn’t work out because the WOW factor would be worth every minute! This would be great if I was not using demonstrations within the presentation and if I had more time to play with it…. So this is the library I finally decided to go with. It is very simple one slide to the next you can use the arrow keys to move left and right up and down through the website. There are some nice examples of how this has been used in commercial sites and it struck me that it would make a very nice way of telling a story in a presentation. What I also liked was the simplicity of the stylesheet and the simplicity in which I could construct my slideshow. 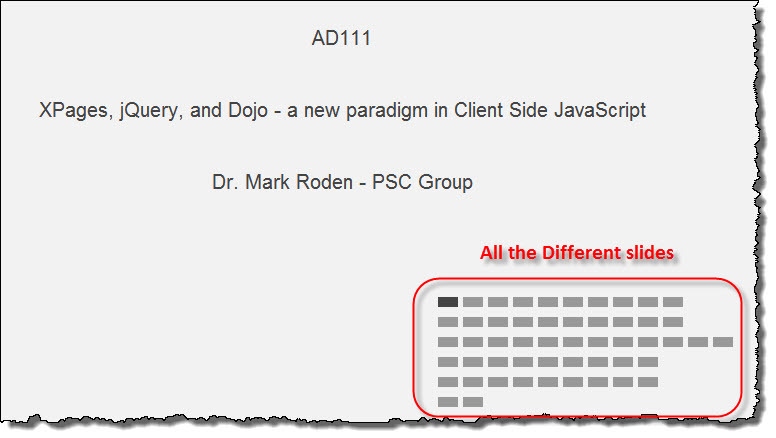 In the main XPage I am able to just create a separate custom control for each presentation page and at any time I can jump from one slide to the next. This also allows me to ensure that each example can be treated individually. 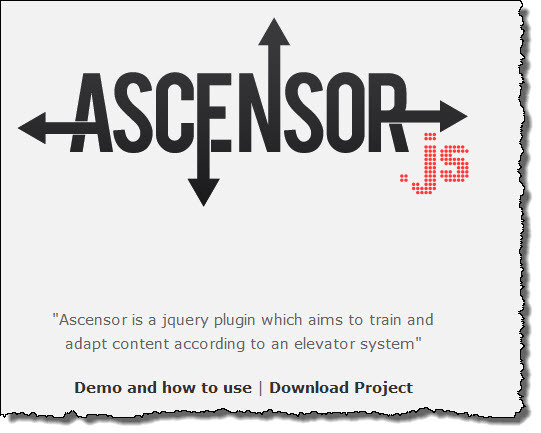 Unlike Impress where the content and positioning are controlled from the div attributes, Ascensor controls the slide order from the plugin attributes at creation. Here is how the presentation is instantiated using the plugin call. More to come on the presentation as it comes together and I will certainly be blogging about the how as this goes along. Wonderful items from you, man. I’ve consider your stuff previous to and you are simply too wonderful. stating and the way during which you say it. You are making it enjoyable and you continue to care for to keep it sensible. I can not wait to learn far more from you. That is really a tremendous website.